Do you have a “hunger monster”? When it’s been too long since your last meal… you will know he is there. The hunger monster often gets a bad rap as a New Year’s Resolution breaker, but really he’s a nice guy and will calm down with healthy foods. I’ve realized that I only start to dread his appearance if I am not prepared ahead of time. This is why I keep around healthy snacks that will curb the desire to eat a bag of chips or scarf down a pint of ice cream. 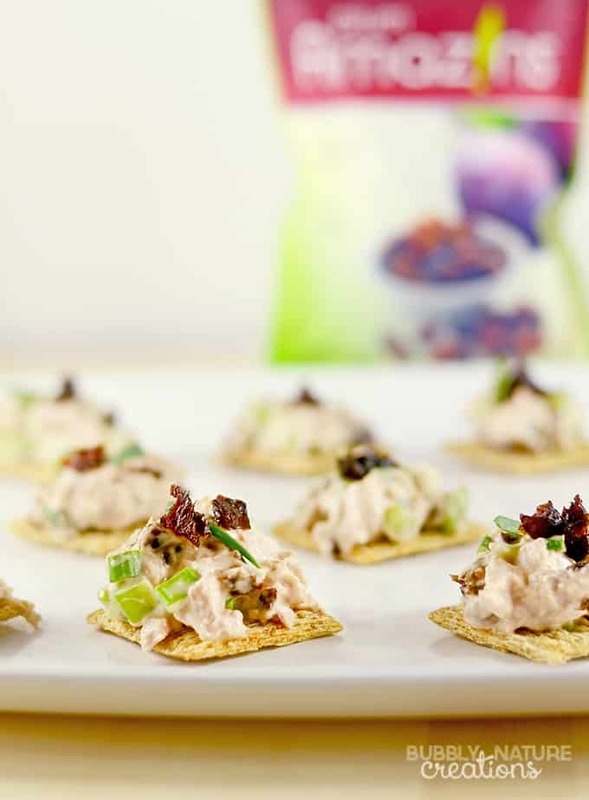 These Tuna Salad Snack Bites with Sunsweet® Amaz!n™ Diced Prunes are the perfect snack for when the “hunger monster” shows up. It’s just the right mix of salty and sweet and it’s a healthy snack option too. 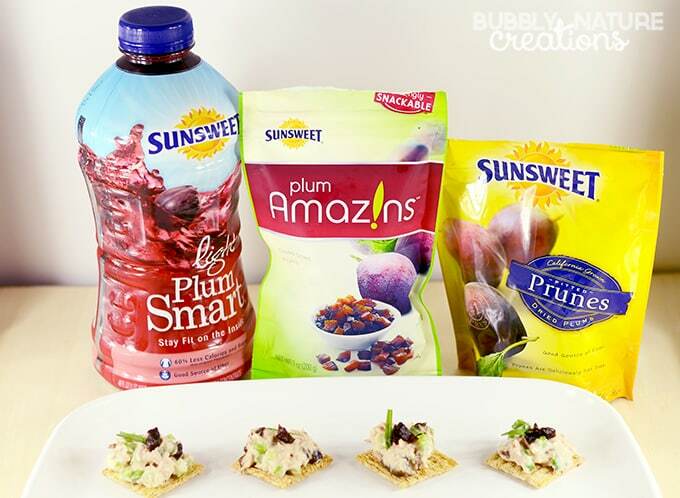 I know that raisins or relish are the usual item used in Tuna Salad, but the Sunsweet® Amaz!n™ Diced Prunes are even better in my opinion. I love the slightly sweet taste they add and they have a subtle flavor that compliments the other ingredients. I also like to have them as a snack on their own too. These little gems are a good source of fiber for only 100 calories per serving. Prunes have a low glycemic index and add a powerful boost of nutrition and fiber to snack time or your favorite recipe. 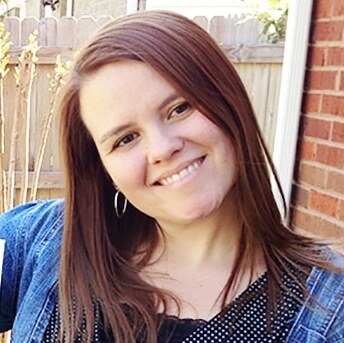 I also like other Sunsweet products like PlumSmart® Light and Amaz!n™ Prunes because they have some of the same benefits like antioxidants and fiber. I also love how they make me feel because they improve digestion! Snacking this new year is so much better because I have healthy ingredients at hand. 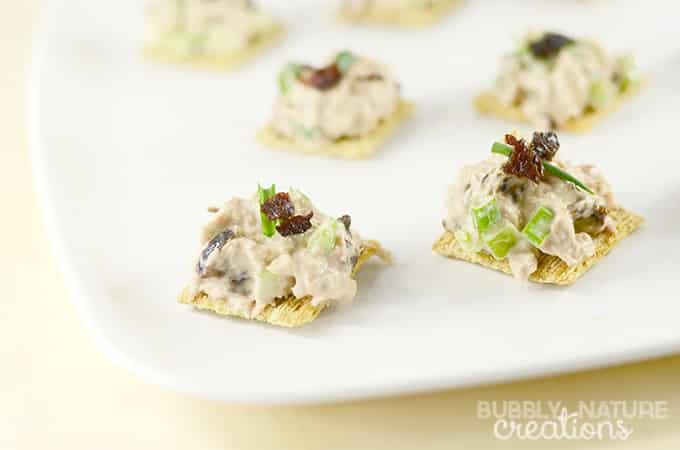 Mix Tuna, Amaz!n™ Diced Prunes, green onions, celery and mayo in a medium bowl until well mixed. 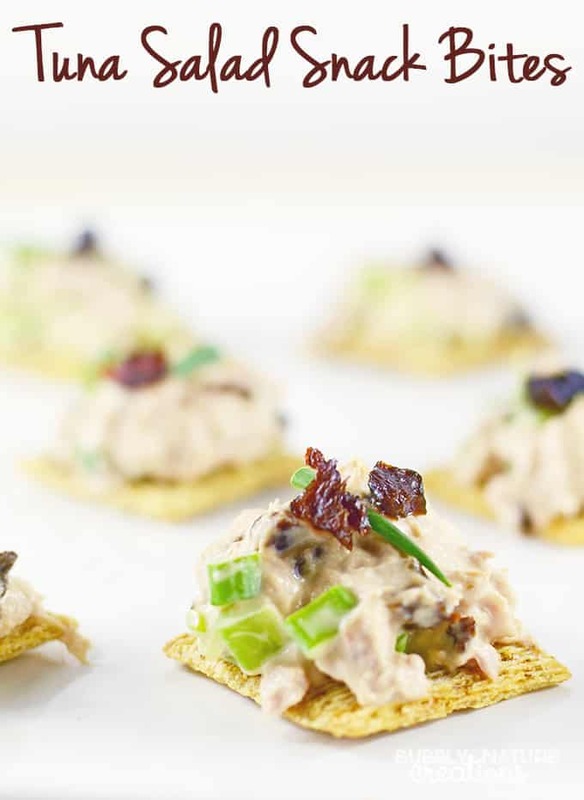 Top crackers with mixture and garnish with the onions and Amaz!n™ Diced Prunes. Enjoy! 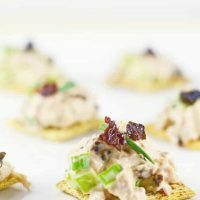 These are not only a great snack, but also a great party appetizer. My kids and husband all loved these as much as I did! What snack ideas do you have for Amaz!n™ Diced Prunes?